The Land Rover Series is arguably one of the most iconic vehicles in the world. Found in every corner of the globe – often still on operational duty – the Land Rover has been used by armies, explorers and medical charities – in fact any organisation who needs to access the inaccessible – and has been owned by such luminaries as Winston Churchill, Idi Amin, and of course, Queen Elizabeth II. The Land Rover Series eventually morphed into the Defender, becoming a legend in the process, and spawning one of the largest fan clubs and owners networks in the world. After the second World War the British Army looked with envy at the Willis Jeep, noting its ubiquitous presence and versatility. A British version of the Jeep was commissioned and the Land Rover was born. The Land Rover Series was a mechanical marvel and an immediate commercial hit, simple yet devastatingly effective, the four-wheel drive system combined with the light aluminium panels meant that the Landy could conquer any terrain from deserts to mountains and everything in-between. To understand just how impressive the 1960’s Land Rover was, one only has to take a passing glance at the 2015 Land Rover Defender – it’s shorter to list the differences than the similarities. The most popular engine was – and is – the famous ‘2¼’ petrol motor, which has mind-boggling towing abilities even if the 0-100 km/h time is measured in months rather than seconds. 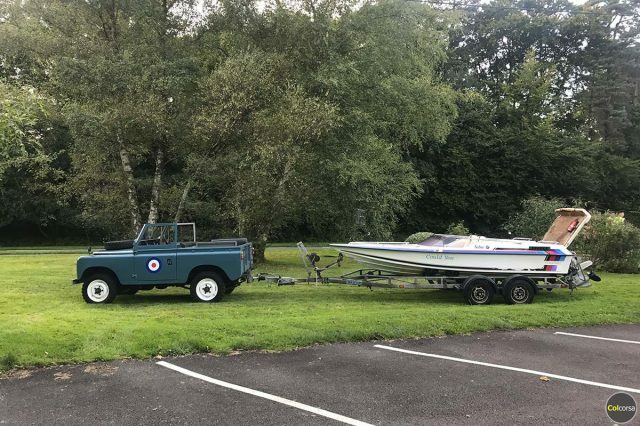 The top speed is unlikely to bother many roadside cameras – but then the joy of open top motoring in an historic Land Rover Series IIa will never be about speed. No other car on the road is as enjoyable to drive slowly. 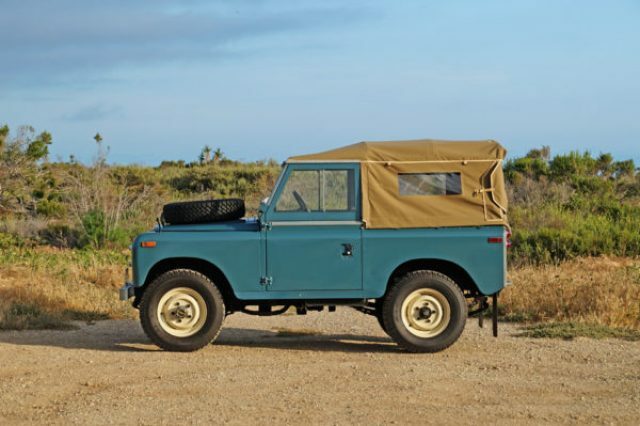 Our Land Rover Series IIa is the third and arguably the best of the early Series cars. 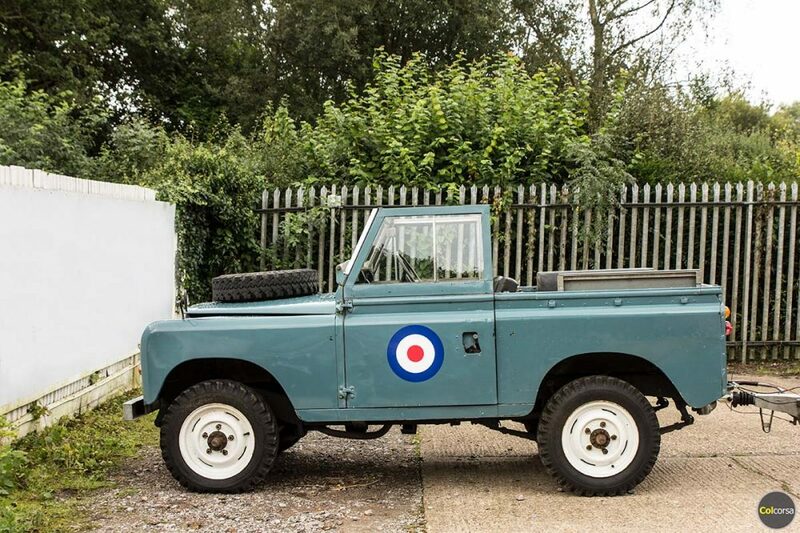 With its centrally located dials, foot operated high beam control, and bench front seat, our Landy exudes an eccentric charm and reflects a bygone age of motoring. However don’t be fooled. Our Landy has been mechanically restored to a high standard and still retains extraordinary off-road abilities albeit at a sedate pace. 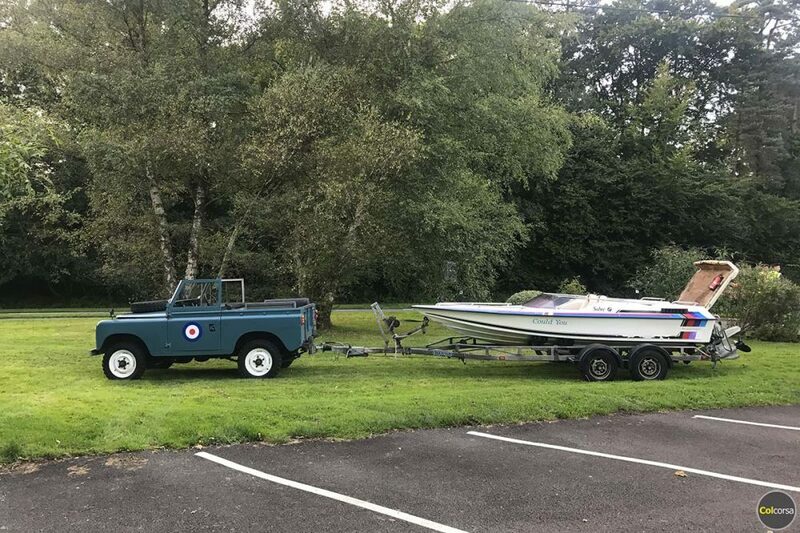 Our Landy is equipped with all-terrain tires and a removable hard top, can be supplied either as a closed cab or open top option, or as a third configuration Landy can be supplied with the cab removed (open top), the doors removed and the windscreen folded flat. 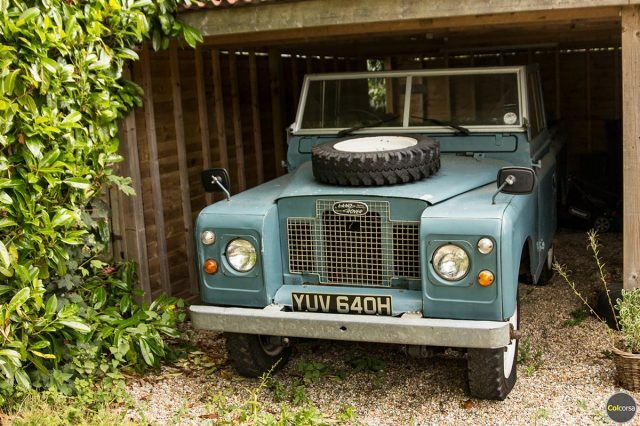 The Landy is ideal for South of France excursions, picnics, back country tours, and is available for display events, film work and press related activities – read more here. A Land Rover Series II also makes a perfect wedding car for the bride and groom who are searching for something a little different. It’s impossible to drive a Landy and not feel happy. Your life will change the day you discover the joys of an early Landy. Don’t say we didn’t warn you.